Share your voice responsibly and responsively. Find out EXACTLY what you are getting with Socialize Pro, before you spend your hard-earned money. With Socialize, you are given access to specialized color schemes along a wide spectrum of colors. These colors were chosen by our theme designer to bring attention to the content and provide a calming atmosphere with which to read content. Customize these colors to match your brand and upload your logo for added branding and impact! With Socialize Pro as well as our other themes, you can upload a logo as well as change the text of the copyright area. All of these elements are easy to find in our theme options panel. The logo will replace the business text on the top of the page, so your brand identity is the first element that people see. Once you have purchased the theme, our team would be more than happy to provide you with the simple resources to create the proper styling. The following content is published on our Socialize demo site. 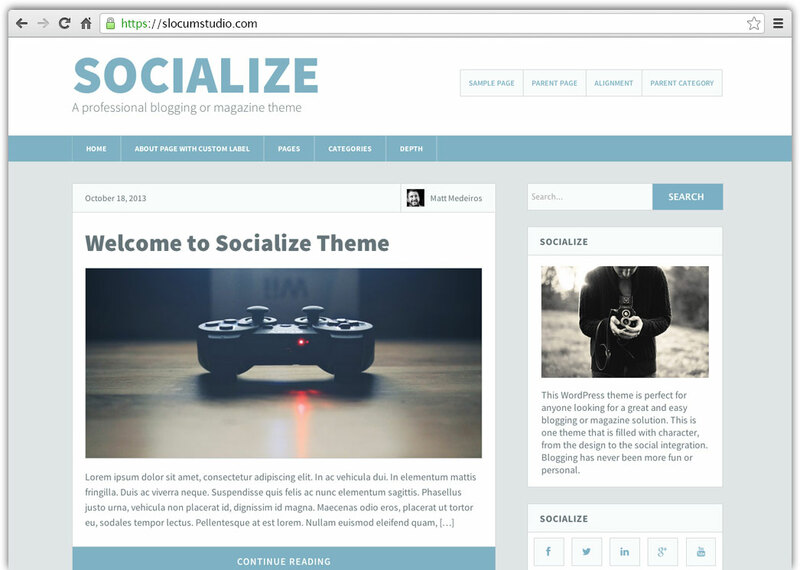 Socialize Pro will allow you to build a homepage that you desire within minutes -- not days. Changing colors, font-sizes, and layout is a breeze in Socialize Pro. You don't have to be a developer. Socialize Pro uses our Slocum Framework at its core. This means it has flexible layout options. Socialize Pro is fully compatible with our Conductor plugin. 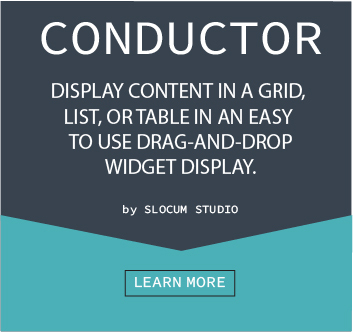 As we add more features to Conductor, Socialize Pro receives the same benefits and unique content design displays we roll out. Socialize Pro really shines when you leverage the live-editing and custom layouts of our Note plugin for your homepage layout. 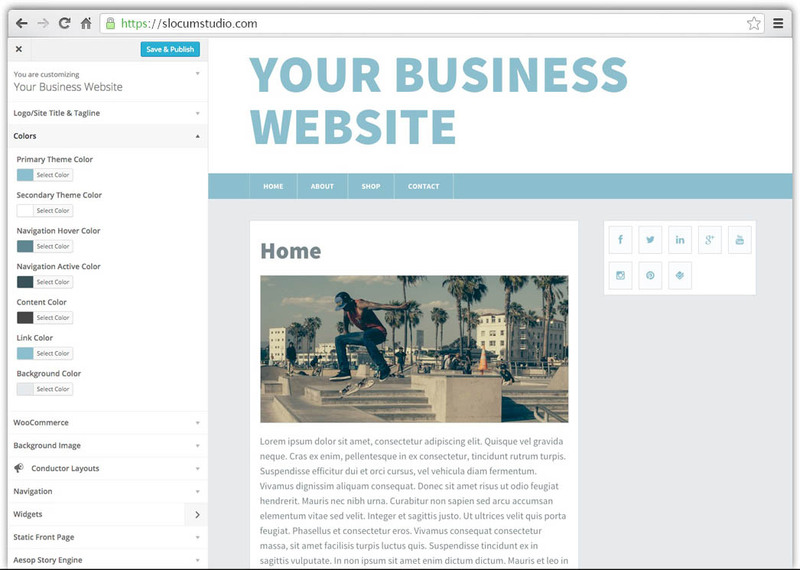 Socialize Pro allows you to customize your WordPress website through the powerful front-end customizer.